A quick update this morning. 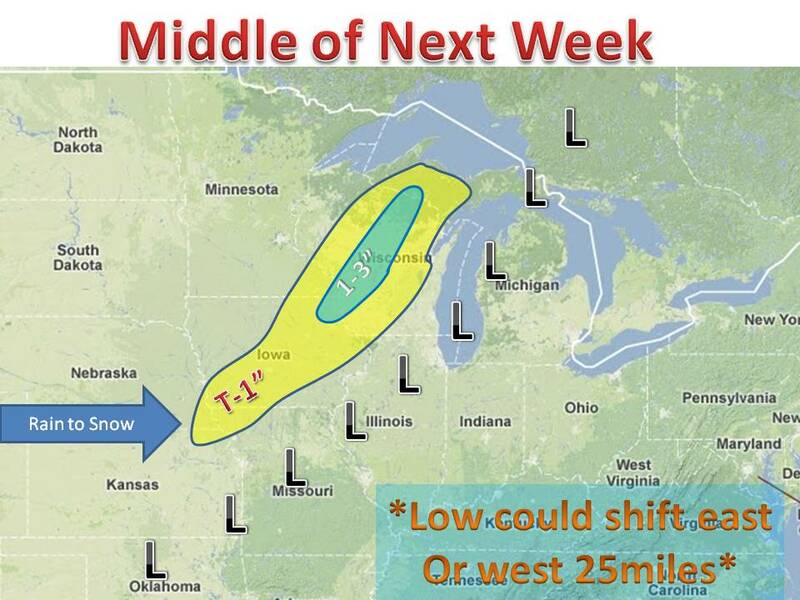 A little fine tuning of the forecast, the average forecasted position of the low has shifted slightly to the east. I did not mention early, but this storm will come in two pieces. The first piece will be warm and all rain the second will start as rain and likely switch back to snow on the back side. 4 to 5 days ago it looked like it would all come in one piece, causing a winter storm with plently of moisture, but now the most someone may see is 3-4" compared to the 10-12" if it came as one big storm. Well anyways, it will be nearly an all rain event. 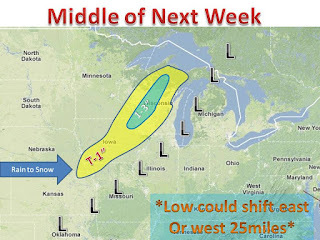 More updates to come, keep i there to midwest weather talk!